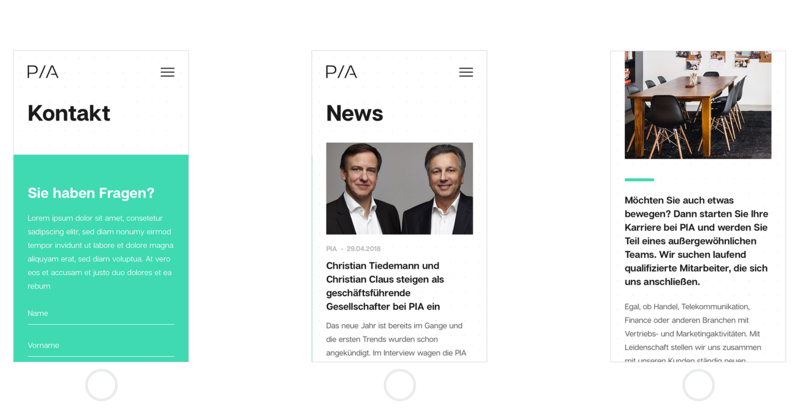 The PIA - Performance Interactive Alliance - is one of the leading digital service providers in Germany with 700 digital experts at seven locations. I had the task to do a complete rebranding of the PIA group. So I started with the Logo, Colors and ended up with the website. The dotted pattern I created symbolized the connectivity between all the companys in the PIA group and there clients. The PIA - Performance Interactive Alliance - is one of the leading digital service providers in Germany with 700 digital experts at seven locations. I had the task to do a complete rebranding of the PIA group. So I started with the Logo, Colors and ended up with the website.